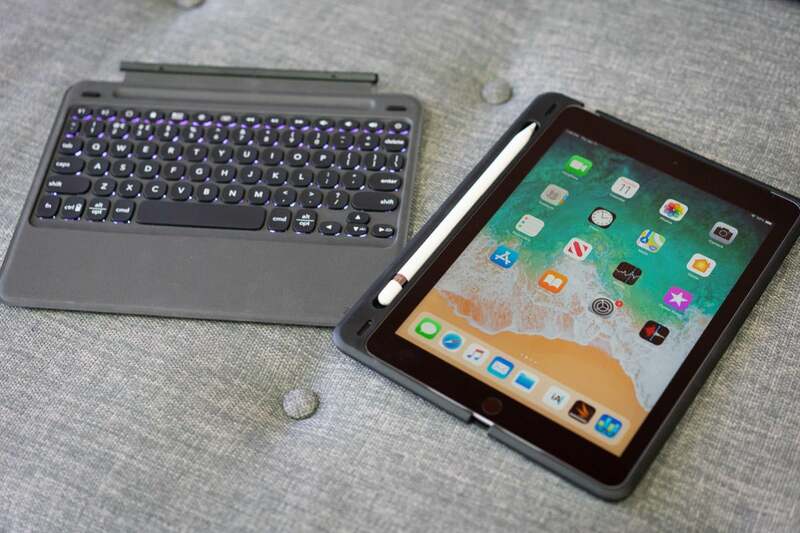 With the keyboard removed, the Slim Book Go essentially becomes a regular iPad case that keeps you from worrying too much about dropping the tablet or bumping it against rough surfaces. It’s a good case, too, as it has just enough of a "lip" around the edge to protect the display from direct contact with the pavement in the event of a fall. I especially admire the way that it comes with a groove for housing the first-generation Apple Pencil on the left side of the display. Whenever I want to use the iPad as a notebook or an artist’s sketchpad rather than a "laptop," it’s ready to go in seconds. I even tried shaking the empty case with the Pencil inside, and Apple’s stylus refused to budge until I finally slapped the case against my desk. It's not immediately obvious, but you change the backlight colors by using the function key with the right arrow keys. I see two drawbacks with the keyboard. One (and this is a small one), you have to charge it with a separate micro USB cable, although fortunately one comes in the box. For another, there’s enough of a gap underneath the keys that crumbs or similar small objects could slip under and potentially cause "sticky" or unresponsive keys. Since there’s no easy way to remove the keys, I can’t think of an easy way to fix it. 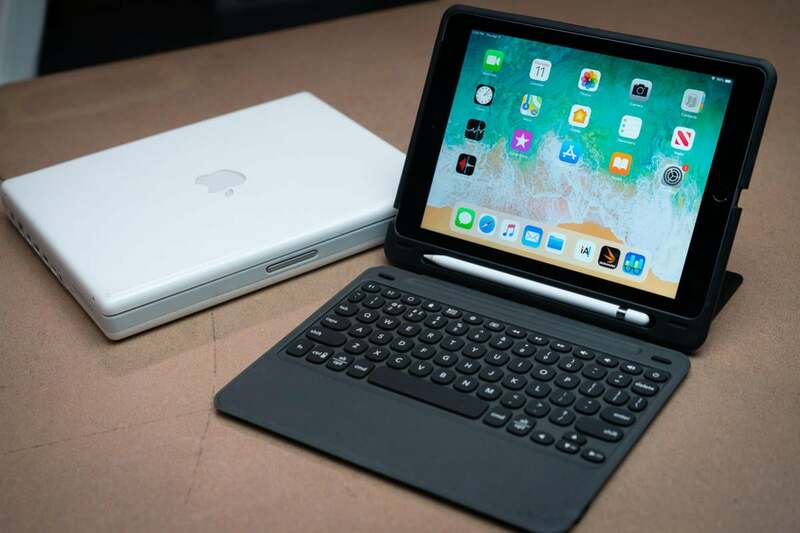 That’s one advantage of the Smart Keyboards Apple makes for the latest iPad Pros: With their closed cloth keys, there’s no need to worry about this kind of thing. The Zagg Slim Book Go isn’t the prettiest case for the 9.7-inch iPad, but it’s one of my favorites. 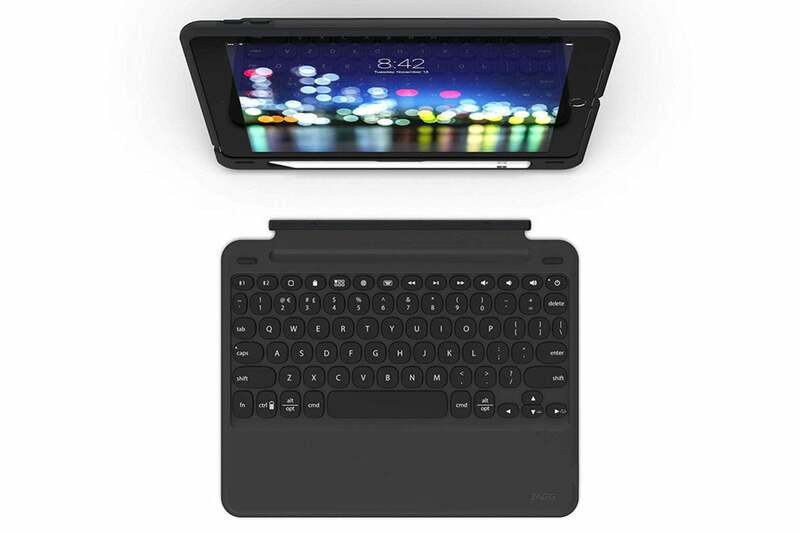 It’s tough enough for daily use at both school or work, and I love how I can switch it between tablet and "laptop" modes without the awkwardness I tend to endure with other cases. 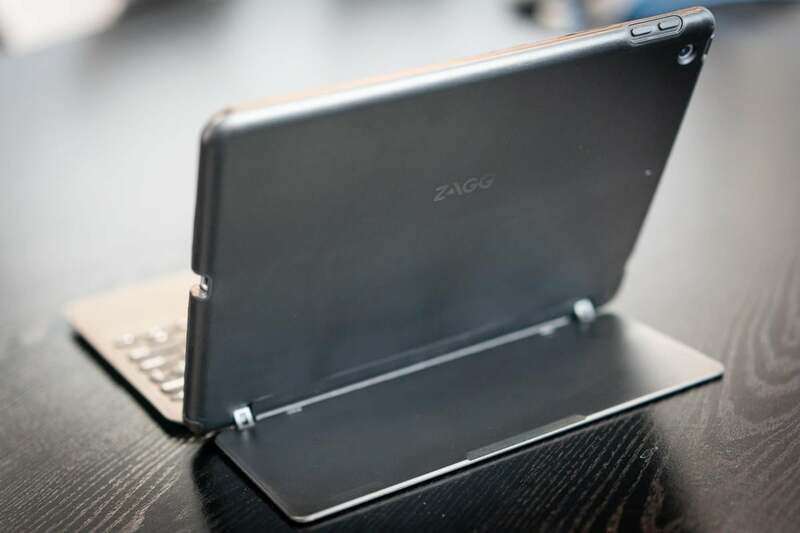 Zagg’s cases tend to be hit or miss, I’ve noticed, but the Slim Book Go manages to hit the sweet spot for almost everything I want for the 9.7-inch iPad.